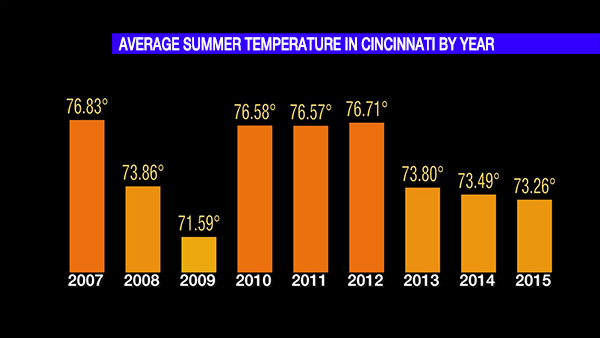 The average summer temperature for 2015 would be higher had it not even for a cooler than average July and August. July and August finished 0.49° and 2.59° below average, respectively. This may not seem like a lot, but remember the the average temperature is the average of the daily high and daily low averaged over the entire summer. 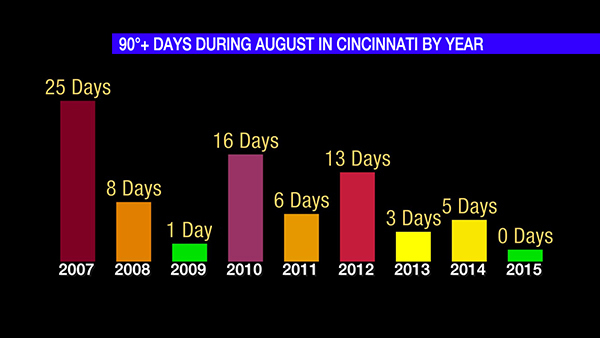 Cincinnati averages 21 days each year with a high temperature of or above 90°. 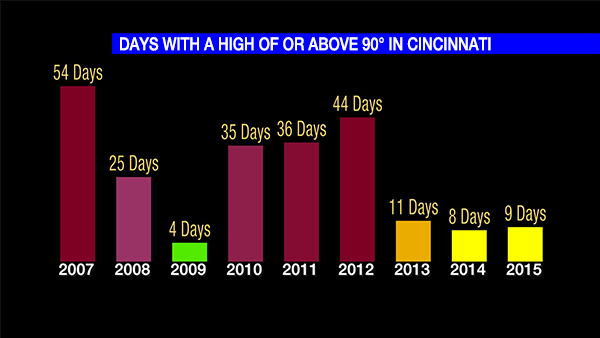 The likelihood of hitting 90° drops very quickly late in September and is extremely low in October. 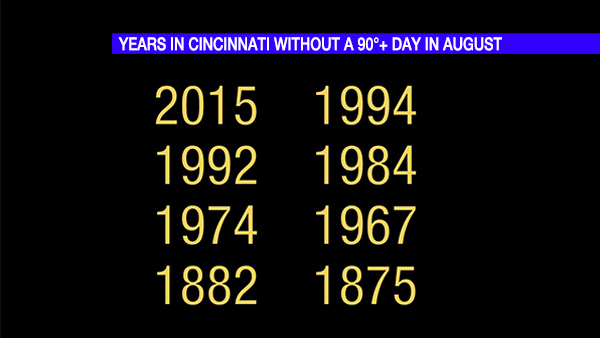 Cincinnati will likely hit 90° at least once in the week ahead before cooler air returns. I hope you enjoyed the break in heat during August. High temperatures will consistently be in the upper 80s to around 90° through early next week. Cooler air will return to the Tri-State by mid-September.